Are you noticing duller skin, sagging cheeks or wrinkles in areas where there weren’t any before? The signs of aging can be stressful and may seem to appear suddenly, but rest assured, you can fight back. If you feel that your reflection in the mirror gives an older, duller, tired impression despite how youthful and vibrant you feel on the inside, then InMode’s Fractora and Forma treatments can help. At Michaels Aesthetic & Reconstructive Plastic Surgery, we’re pleased to offer Fractora and Forma, one of the most advanced skin resurfacing and rejuvenation treatments. While Fractora and Forma are each their own great treatments, when combined, Fractora and Forma are powerful combination punch in the fight against aging. Taking on surface-level and deeper aging issues achieves an ideal, comprehensive facial tightening and skin resurfacing result. Contact us to learn more about InMode’s Fractora and Forma skin rejuvenation treatment. 2 How does Fractora Work? 3 What does Fractora do? 9.1 How Much is A Fractora Treatment? 9.2 How Many Sessions Do I Need? 9.3 When Will I see Results? 9.4 Is Fractora Right for Me? InMode Fractora is a cutting-edge skin tightening technology which uses radiofrequency energy to stimulate skin healing and collagen growth. Fractora is a dual action ablative and collagen boosting treatment that tightens skin and visibly reduces blemishes. Fractora’s advancements in radiofrequency technology and collagen-stimulation offer you the ability to soften wrinkles, tighten skin, reduce blemishes, and even improve acne–all in a single treatment. Fractora is an excellent choice if you are looking to treat a variety of facial aging symptoms without significant downtime and recovery. Fractora treatments improve the appearance and quality of aged skin through a combination of microneedling and radiofrequency energy. Fractora is a multiple-action treatment that applies fractional radiofrequency, volumetric heating, and microneedling to your skin to jumpstart your skin’s healing abilities to renew and strengthen skin structures. Fractora’s handheld applicator is tipped with groupings of 60, 24, or 24 coated pins. The number of pens may be adjusted according to how aggressive you would like the treatment to be. The length of the pins are adjustable, offering greater degrees of customization. When applied, the pins release controlled radio frequencies to generate the degree of heat necessary to stimulate the collagen for tighter, healthier skin. Forma is a skin rejuvenation treatment that is an excellent complement to Fractora. It is a thermal treatment that works deeper within the skin layer using the pure power of radiofrequency energy. Non-invasive with built-in safeguards, Forma’s energy delivery triggers skin contraction and improvements in skin structure. With Forma, you are receiving profound, deep-tissue anti-aging treatment with none of the downtime. Forma’s cutting-edge thermal system has a built-in, real-time temperature sensor signaling when the dermis has reached the optimal temperature required for successful collagen stimulation. The administered RF waves work to plump the skin and improve elasticity. In fact, your skin will be noticeably tighter almost immediately. Forma additionally offers the added benefit of contouring the skin itself, to improve the appearance of wrinkles and the overall healthy, elastic lift of your face. You also have the option of Forma Plus, which is designed to treat larger areas, such as the neck or other parts of the body. You can look as much as eight years younger in eight weeks with a Combination treatment. Fractora and Forma, when performed together, provide comprehensive skin resurfacing results. Fractora and Forma can be administered individually, but in Dr.Michaels’ experience, the best results are achieved when the two are combined. The Fractora, as well as the Forma, penetrate to the collagen layer within the skin with safe, targeted radiofrequency energies, which trigger a boost in collagen generation. The radio frequencies and micro-ablation pairing of Fractora address the surface-level issues such as scarring, hyperpigmentation, and improving skin texture. Simultaneously, Forma penetrates to deeper levels of tissue for structural skin improvements. The micro-ablation signals a need for healing of the upper levels of your skin, while the radiofrequency heating promotes healing from within your skin. Your face gains luminous volume, and wrinkles diminish. With the combination treatment, you will have more of your basis covered since you are are addressing issues on the surface and in the foundations of the skin. During your consultation with Dr. Michaels, you’ll discuss the full scope of your skin care goals and go over the treatment in detail. He will ask you questions regarding your medical history, lifestyle and elaborate on any questions you have about the Fractora system. After assessing your skin and the issues that concern you, he will be able to determine what treatment or combination of treatments will deliver your best results. No two patients are alike and no two treatments are either. 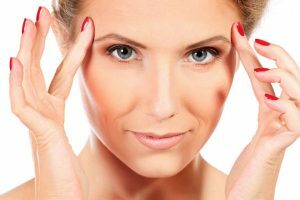 After assessing your case, Dr. Michaels may determine that you will see better skin rejuvenation result from a different procedure such as a facelift, especially if you are experiencing more severe facial aging symptoms or skin laxity. The Fractora treatment is performed in-office and while you are resting comfortably. The duration of your skin-tightening treatment will vary based on your unique case, but will typically take under an hour for a single area. On its own, a Fractora treatment can be completed in as little as 45 minutes. To ensure you are comfortable during the treatment, a topical anesthetic cream is applied. The handheld Fractora treatment head will be pressed and held against the skin for only a second or two as the radiofrequency pulses and microneedles are activated. Then the treatment head is moved across the treatment area in overlapping sections for complete coverage. Once the target area is covered, the session is complete. You may experience swelling and redness immediately after your Fractora treatment, but these symptoms are normal and will disappear within one to two days. Redness is a sign that the collagen is resetting and healing the skin. It is also highly recommended that you avoid direct sun exposure and regularly apply sunscreen before going outside. As soon as your treatment session is complete, you can immediately return to your normal, daily routine. How Much is A Fractora Treatment? The cost of your facial tightening treatment will depend on the procedure or combination of procedures selected to treat your unique needs. After your initial consultation, you will receive a cost breakdown of your individualized treatment plan. Four to six sessions to deliver optimal, long-lasting tightening and resurfacing results. With a combination treatment, you may achieve great results in just a single session. Results will vary according to each individual, and the treatment or treatments they decide to receive. Overall, those who receive a facial tightening procedure will see a subtle, but significant improvement in their wrinkles, better skin texture, and pigmentation, and a fuller, tighter facial appearance overall. You will see immediate improvement in the appearance and tightness of your skin after your Fractora or Forma treatment. As the collagen heals and further tightens your skin, you will continue to see your skin quality continue to improve over the months following your treatment. Final results will be visible within 4 to 6 weeks after the procedure. Is Fractora Right for Me? Candidates for Fractora are those who wish to treat wrinkles, scars, redness or hyperpigmentation, and loose skin. Forma may be more appropriate if you who wish to improve wrinkles and reduce skin laxity. Forma may not be the right rejuvenation choice for you if you have a darker skin tone, but Fractora is capable of achieving safe results for all types of skin. If you are are experiencing an active skin condition, endocrine disorder, or serious medical condition, you may not be a candidate for Fractora or Forma. If you are currently experiencing eczema, rashes, or other lesions on your skin, you must wait until these symptoms resolve. During your consultation, Dr. Michaels will assess your skin rejuvenation needs to determine what skin-tightening treatment or combination of treatments may be right for you. If you still have any questions about InMode Fractora and Forma skin tightening treatments, you may call us at our North Bethesda or Fairfax offices anytime.